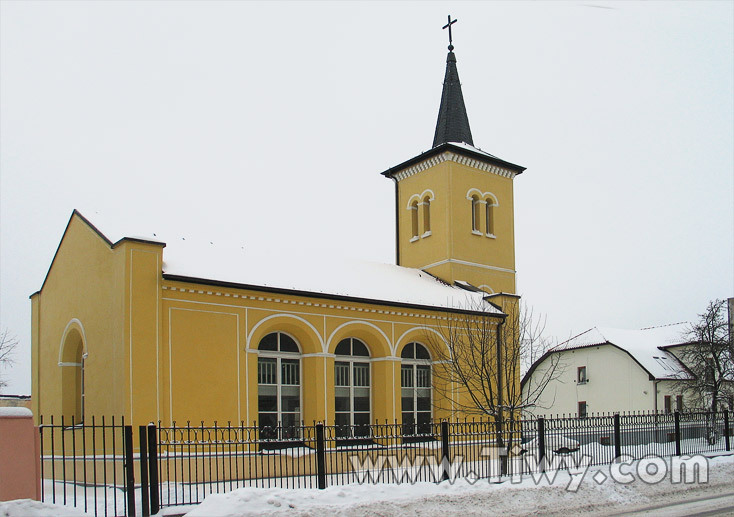 Tiwy.com - Gusev town, Kaliningradskaya Oblast (region). Photos. 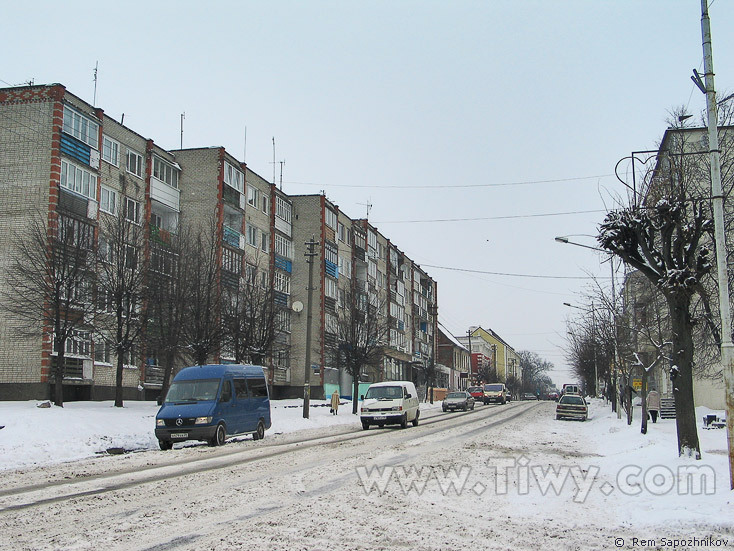 Winter 2010. 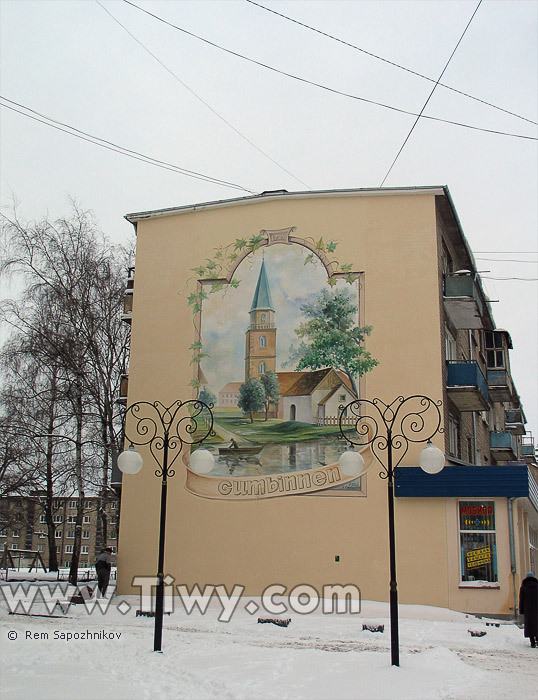 The city of Gusev is about 300 years, although the first structures in its place date back to 1-2 century AD. The Prussians owned these places, but then the German invaders, crusaders came. So the city of Gumbinnen appeared, which did not stand out, except for the cheap agricultural, dairy and meat products that used to be supplied to both Koenigsberg and Berlin. 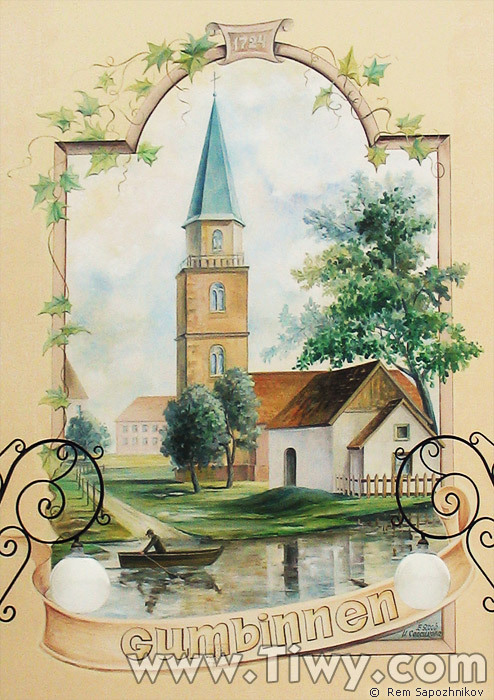 In the historical chronicle, the city of Gusev (Gumbinnen) has been primarily recorded in connection with wars. In 1812 Napoleon stopped there to make last adjustments to the strategic plan of attack on Russia. 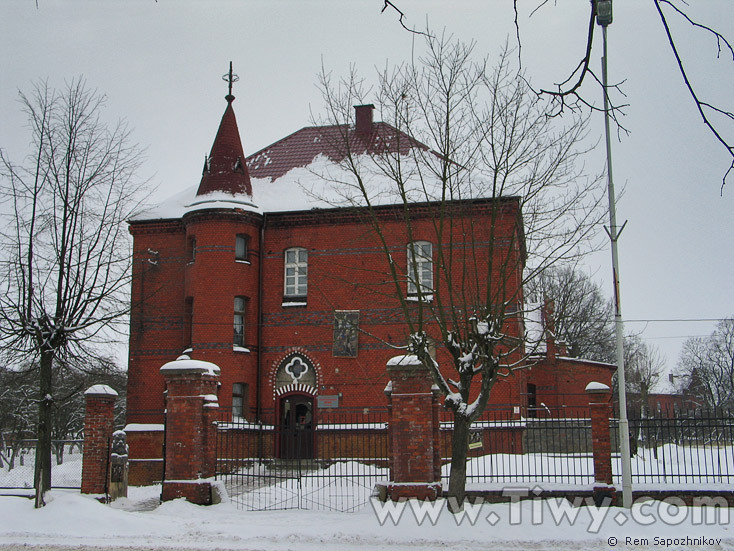 It was the Russian Army in 1914 and Soviet Army in 1945 on the Gumbinnen direction that exercised breakthroughs of defensive structures of German troops. In February 1945, the attacking column was headed by Captain Sergei Gusev, who later was killed in a fierce battle, but achieved the mission set - the fascist units retreated with heavy losses. Now solemn ceremonies are regularly held at the monument to S.I. Gusev, and it cannot be otherwise: memory of the heroes is sacred. Among the most famous personalities from Gusev (Gumbinnen) are a Lithuanian poet Donelaitis, pop star Oleg Gazmanov and, of course, N.N. Tsukanov, who was a successful head of Gusev urban district, was distinguished and got a pass to big political life - he was appointed a governor of the Kaliningrad region. 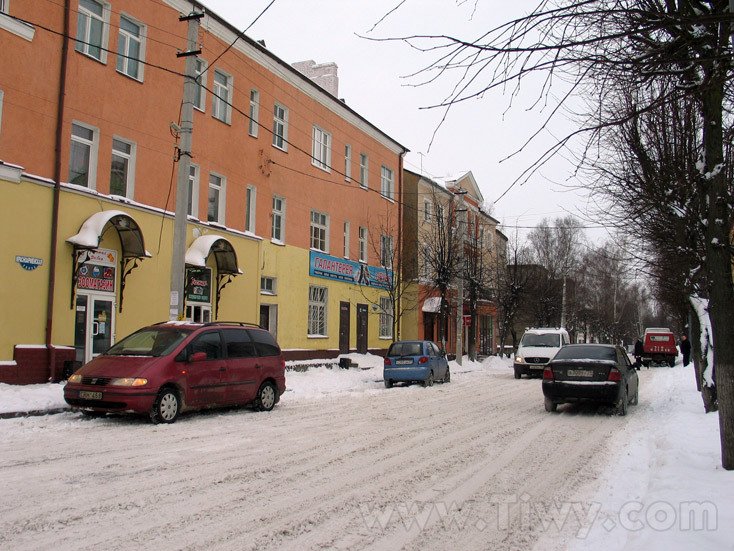 Moscow should take the example of Gusev: vehicular traffic in the city does not give rise to unfavourable criticism of local residents. In the local history museum they willingly serve even solitary visitors. This bridge connects the "old" and "new" part of the city. 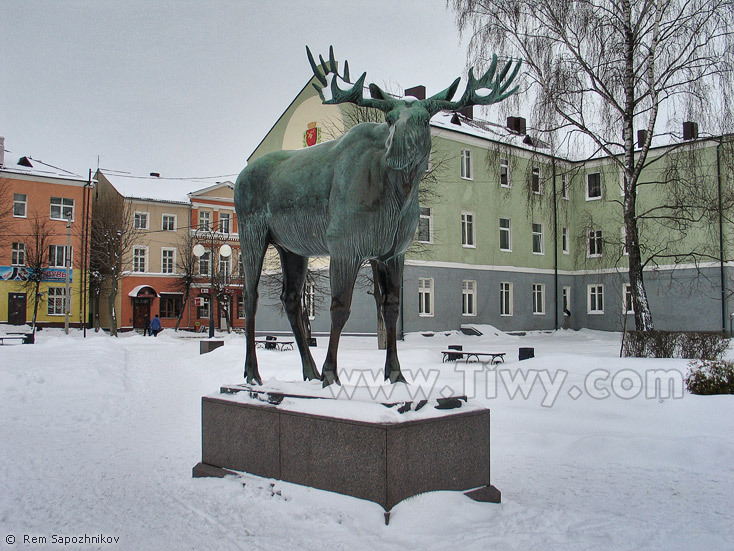 The sculpture of "Elk" made by L. Vordermayer was installed in the city in September 1912. Later it used to "live" in the Kaliningrad Zoo for many years, but in December 1990, was returned to the place of its "legitimate stand" in Gusev. "My God, how everything has changed here - thinks the Elk – not a single German around!" 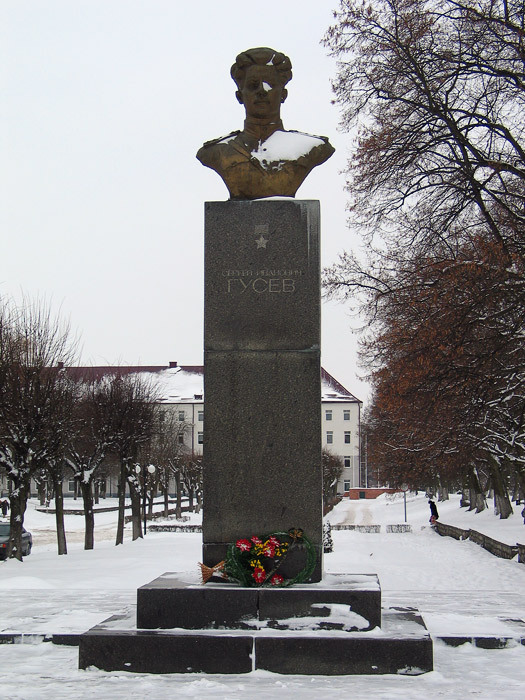 The monument to the Hero of the Soviet Union S.I. Gusev. 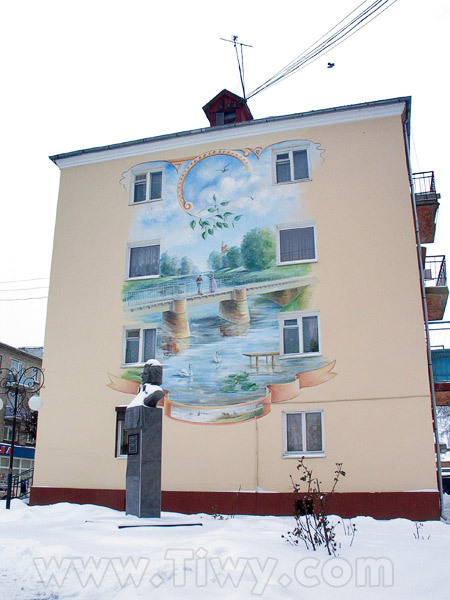 Residents of Gusev have not changed their attitude towards V.I. Lenin. Casual workers come and go, but Lenin is one for centuries and millennium! 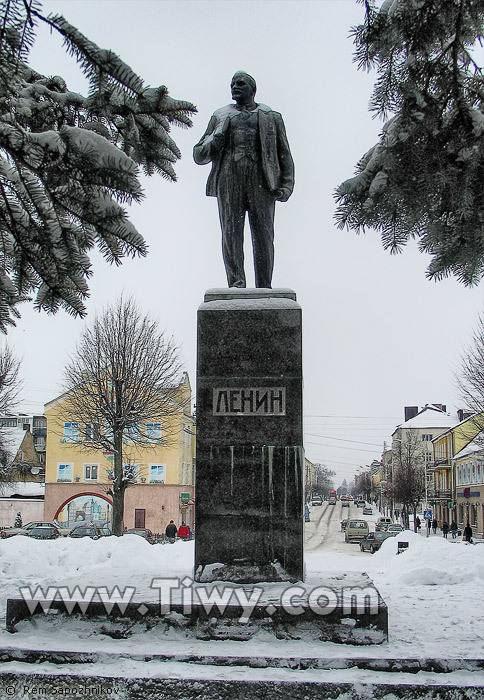 Lenin - is always alive! 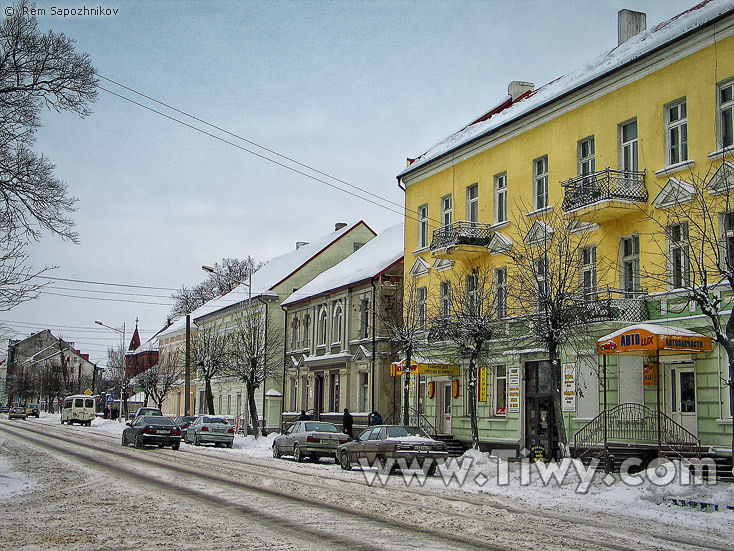 In the evenings residents of Gusev prefer to sit at home and take tea, watching TV programs from neighboring Poland. The monument to a Lithuanian poet K. Donelaitis. 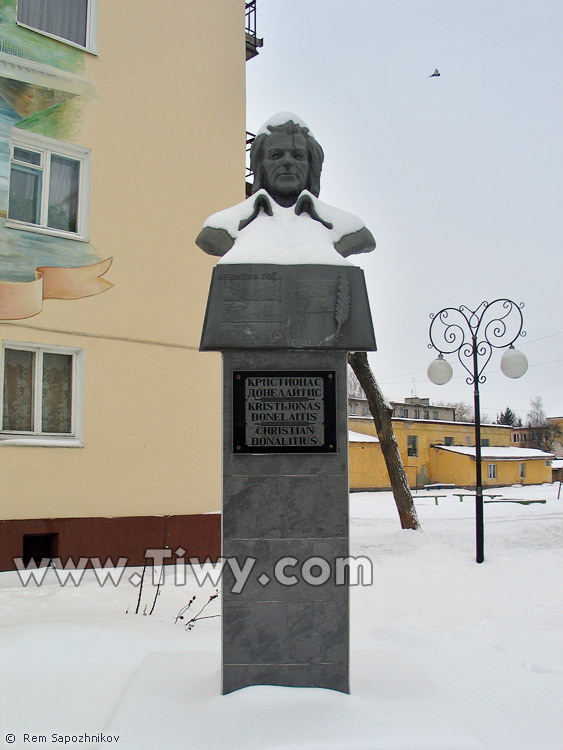 Visitors from Lithuania, often come to Gusev to touch the roots of their genius author. 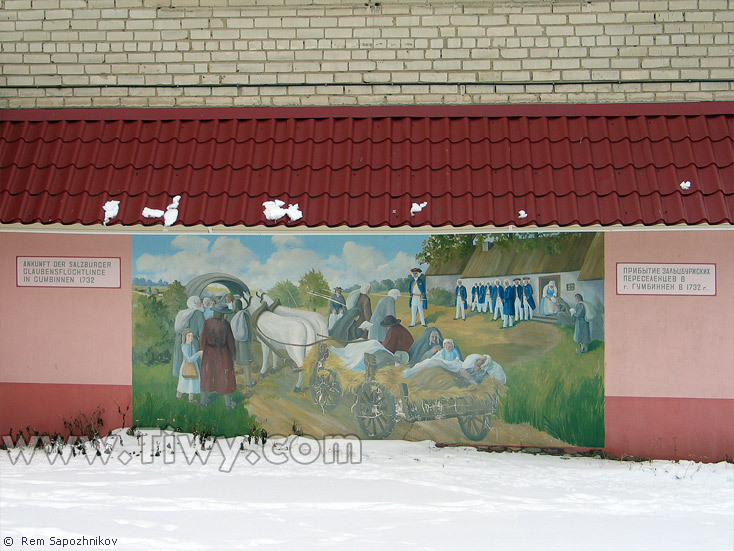 The fresco, telling how the first settlers from Germany in 1732 arrived in the future Gumbinnen. Ay, Gusevites, where are you? - We sit, take tea! - And how are you now without Tsukanov? - It's sad, of course. But a great ship asks deep waters! Tsukanov is a lucky guy! Hotel "Gloria" looks decent from the outside. 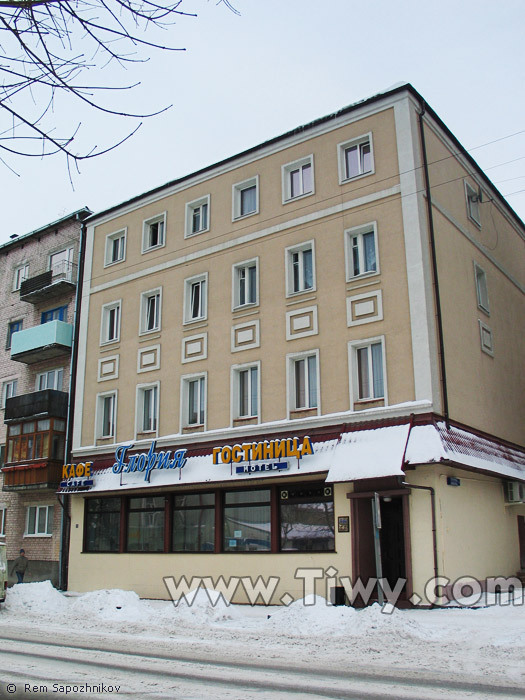 The site "Gloria" gives only positive feedback, room rates range from 800 to 1200 rubles. There is no certainty whether it's true or not. 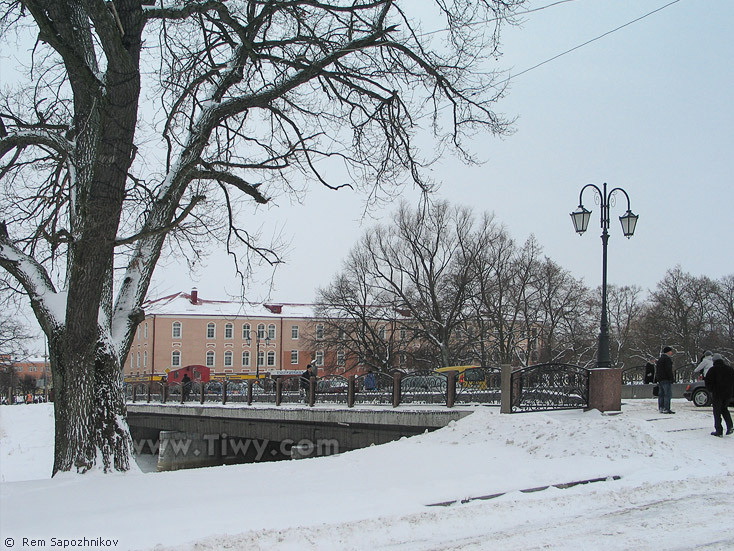 All visiting Gusev tourists praise the city with similar words: homy, cute, compact, poetic, especially in summer when there is a lot of greenness. 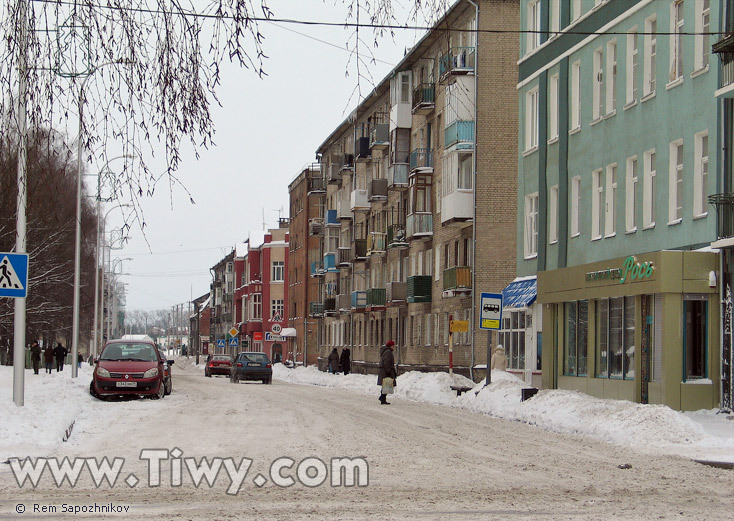 But the residents of Gusev themselves are less generous. Especially they often complain on the lack of jobs. The population of the city is only 28-29 thousand people, but many of them have to leave to look for suitable jobs outside, sometimes in such distant lands as Germany, USA, Canada. However, the Gusevites always remember their homeland and this photo-report is dedicated to them. 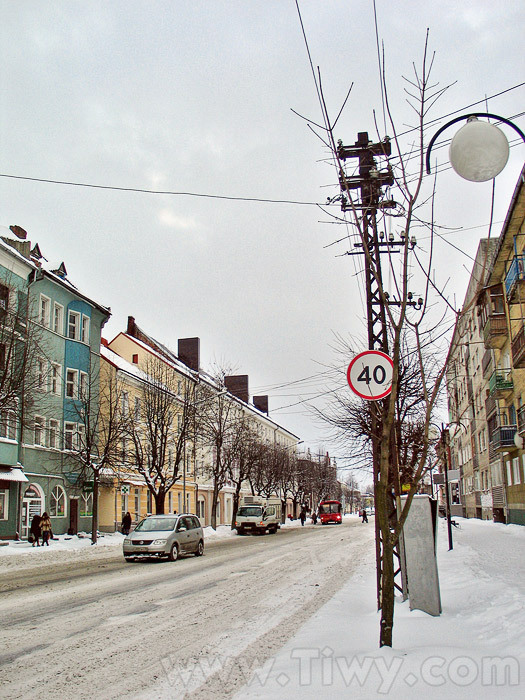 If you suffer from nostalgia, take at least a virtual stroll through the streets of a snow-covered city. Little motherland is always waiting for you.